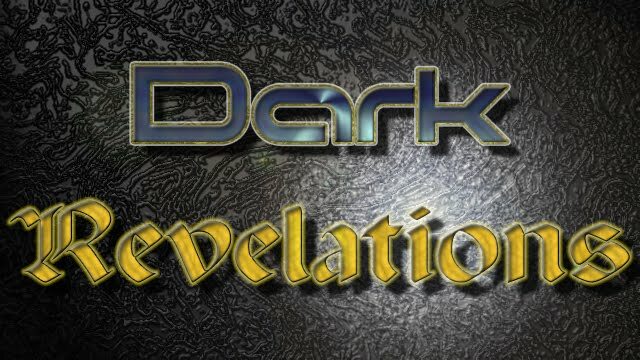 Dark Revelations - The Role Playing Game: Return of the Spell Slot? Return of the Spell Slot? When we first started on the spell system for DRev, we had decided early on that we wanted to do spell points, with the idea that 1) it would be easier for players to keep track of and 2) it would work better from a metrics point of view. Some game testing showed it worked pretty well, with one little hiccup. It becomes pretty easy to spam lower level spells, a lot. While certainly with my level 10 Magister I would never imagine of casting ray of frost 80 times a day, the notion of casting magic missile 26 times did cross my mind. The easy way to address this as a player was to come up with my own mental math of leaving enough points in reserve to cast 4th level and 5h level spells for later. But the exercise did show that perhaps the return of traditional d20 spell slots as an optional rule was worth looking at. These can represent the ability to gather and assess components or knowledge, store key spell completion phrases or rituals in your mind, or ability to attune yourself with the mystic energies of the universe. In reality the number of spells known to your character represents how many you have actually memorized, and your Ritual skill represents how good you are at casting or bringing them into reality. DRev, we will always allow spontaneous casting. In other words, you will not have to state at the start of the day of what spells you want to memorize for use. You simply state which spell from your personal spell list you want to cast, and expend the appropriate spell slot to use it (see below). Casters in DRev will start off with a number of spell slots exactly equal to the number of spells known to them based on their class. So without reprinting the entire chart, here are a couple of examples. At level 2, the Channeler would have 3 spell slots for level-0 spells, and 2 spell slots for level-1 spells. At level 2, the Ritualist would have 5 spell slots for level-0 spells, and 3 spell slots for level-1 spells. The slots act as a set number of daily uses for spells of particular spell level. Once you have expended all the spell slots from a spell level, you may not cast any other spells from that level. The Ritualist class will gain a total number of slots equal to their normal spell known, plus their known utility spells (thus 3+2u becomes 5 slots). If the GM thinks that utility spells should be counted as separate spell slots they could ask players to do so. This will follow the normal rules of recovery spell points. Spell slots will be recovered if you are able to take a daily full rest (typically 8 hours), and not be suffering from severe environmental conditions, starvation, thirst and not considered fatigued once the rest is over. The ritual rules remained unchanged. You must make Ritual skill check to cast any spell from your personal spell list. If your Ritual roll is a critical (typically natural 20) success, than you do not use up the spell slot you were about to expend. See spell mishaps below for rolling a 1. A failed Ritual check will mean the spell slot is expended, and the spell also does not go off. Due to their weaker nature, your Ritual skill’s critical threat range is increased by 1 point when casting level-0 spells (20 becomes 19-20), to a maximum threat of 15-20. When you have to consult the spell mishap table, here are some mishap changes with spell slots. Roll of 18: Spell Nerf: The Spell Fails and costs 1d4 extra spell slots. The caster may choose which spell level to expend these slots from. The caster Ritual skill is at -2 and spell power (save DC) for all spells is at -2 for 24 hours. Roll of 19: Mana Drain: The Spell Fails. The spellcaster is drained of all spell slots except for 1d2 spell slots. The caster may choose which spell levels these slots are remaining, up to their normal maximum number of slots. This will force you to have and to use the appropriate higher spell slot. So, Component Management is at +1 spell level, so a level-1 spell with this meta-magic feat must be cast with a level-2 spell slot. A feature that adds spells to your personal spell list does not add to how many spell slots you have. A feature that adds, expends or restores spells points will typically count for 1 spell slot for every 3 spell points it would normal expend or grant. Any fractions are rounded down. Some benefits may give you a floating spell slot. A floating spell slot can be used in place of any spell slot normally available to you. It otherwise acts as a normal daily spell slot for expenditure and recovery. Extra Spell Points [Ritual], Feat: This feat now grants you 1 floating spell slot that you may use in place of spell slots normally available to you. New: Under the spell slot system, this feat can only be taken up to 3 times total. Divine Trade Off (Channeler general Talent): Benefit: once per day, spend 1 channeling point to restore the daily use of 1 spell slot you have already used. Ritual casting is at +4 DC to cast spells right from their personal spell list, but do not consume extra spell slots (this mechanic did not work well with slots). their talent Channel Spells Through Mechanics will negate this penalty. Arcane Gift (Ritualist general Talent): This talent gives a +2 to Ritual skill rolls (unchanged), and 1 floating spell slot that you may use in place of spell slots normally available to you. This talent can only be taken once. Blood Magic (Ritualist general Talent): New: For this benefit You must spend 3 hit points for each spell level you wish to restore a spell slot to. So if you want to restore the daily use of a level-2 spell slot, you must spend 6 hit points. You may not recover spell slots above your normal maximum. This talent has its normal daily maximum usage. New: Level-0 spell slots cost 1 hit point each to restore. Suffer For Your Craft (Ritualist general Talent): You must spend hit point equal to spell slot level x 3 to trigger this talent (a level 5 spell slot would cost 15 hit points). Manna Tapping (Su), talent: This is still a once per day effect. All New effect: When you activate this power, you gain a Manna Tapping Pool equal to half your level (rounded down, minimum 1). When you want to cast as spell, you may draw from this pool in this way to cast the spell without using a spell slot. Expend points from the Manna Tapping pool equal to the spell level you are casting, and make your ritual casting roll normal. Once out of points this talents power ends. The pool only lasts for 1 hour before fading useless. Level-0 spells cannot benefit from this talent. For example, you are level 10 (manna tapping pool 5), and cast a level 4 spell using the pool, this leaves 1 point left in the pool. Manna Theft (talent): Effect remains unchanged, except instead of recovering 1d6 spell points, you now recover 1d2 spells slots of choice that you have used so far this day, up to that spell levels normal maximum. Talisman of Karma (TIER magical item, Fetish): Instead of spell points or floating spell slots, the talisman grants you the ability to restore daily use of a single spell slot you have up to specific spell-level. Take the TIER-1 (minus one) to determine the maximum spell-level slot you can restore. Thus a TIER 1 fetish can restore one level-0 spell slot, while the TIER 3 fetish could restore one spell slot to either the level-0, 1, or 2 spell slot. You still may only wear one these at a time, but it may be used as a free action. It cannot restore any floating spell slots you may have. TINY BOO BOO on Faustian Mechanics. under Spell Slots, their Ritual casting is at +4 DC to cast spells right from their personal spell list, but do not consume extra spell slots (this mechanic did not work well with slots). their talent Channel Spells Through Mechanics will negate this penalty. I must say, I dislike Spell Slots and always have. It's never made sense for me from an in game, world building perspective. It treats spells like something that sit in your mind and disappear once you use them (which, now that I think about it, is kinda creepy). That being said, this does solve the lower level spell spamming issue. And it creates an interesting agony of choice in a world with guns: spell slot or ammo, which do you spend? indeed there has to be a happy median, perhaps having a slightly lower number of spell points and adjusting spell cost may work. We kind of got committed early on with the classic tracking and spending ammo trope, the notion of ammo slots/ammo points didn't even cross our minds and is an interesting idea.